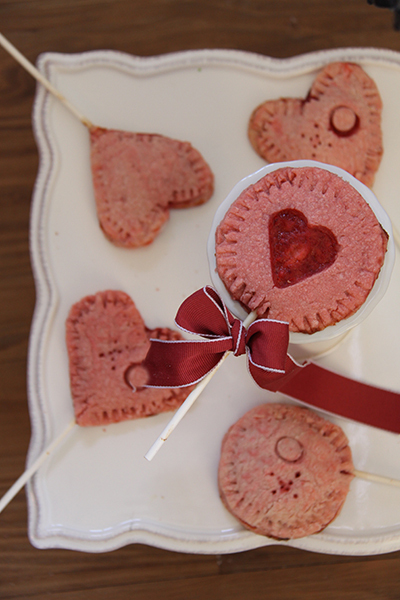 Nothing says I love you like a homemade treat, and Valentine’s Day is the perfect day to make some fun treats. 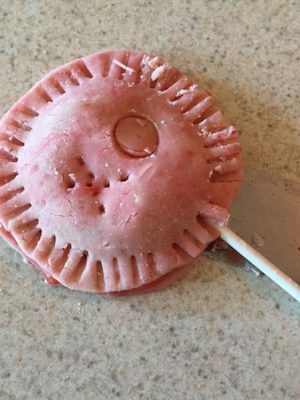 These pie pops are not only tasty, but fun too. 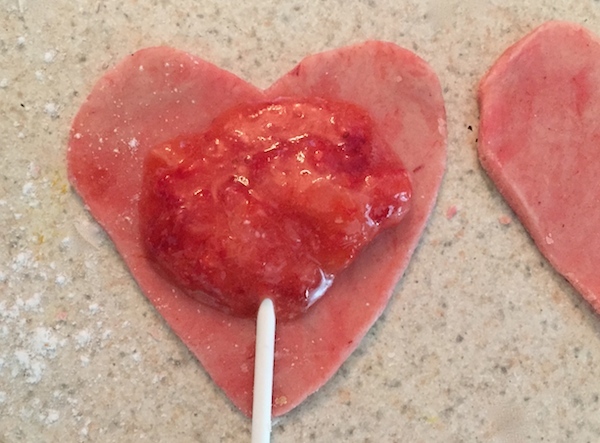 You will also need a Heart Cookie Cutter Set and Lollipop Sticks (Amazon links). 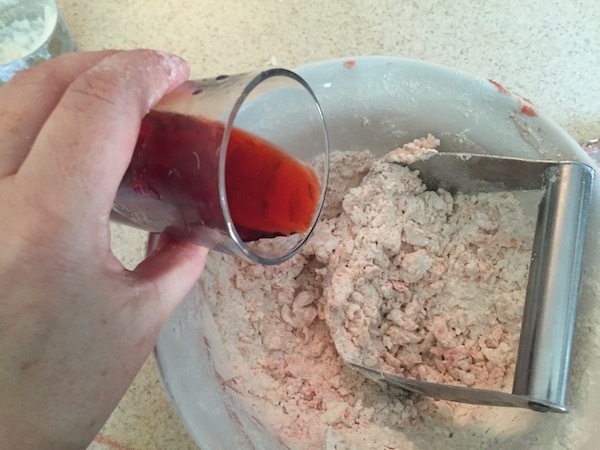 First step is to make the crust, starting with shortening add couple drops of red food coloring and work it into the shortening. 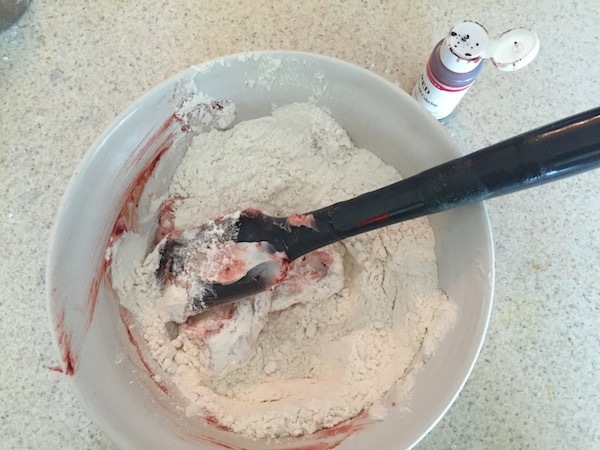 Add flour and salt, mix together with a pastry cutter until crumbly. Now get about 1/4 cup of cold water and add couple drops of food coloring, stir water until color is mixed in. Add to the pastry mixture a little at a time until it makes a ball (you many not need all 1/4 cup of the water). 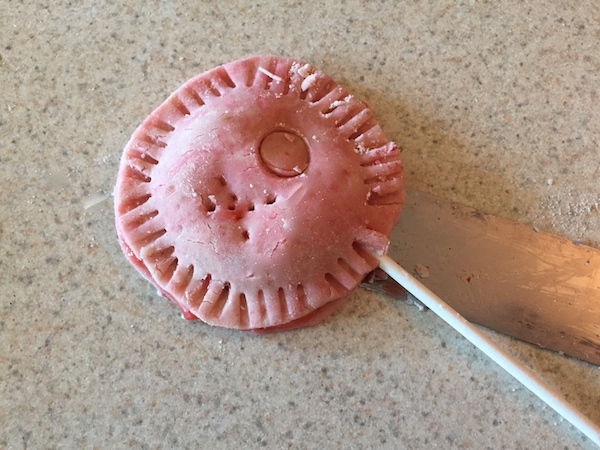 Roll out pastry dough and cut out pop shapes. Each pop will use two cut outs. Have fun with it! 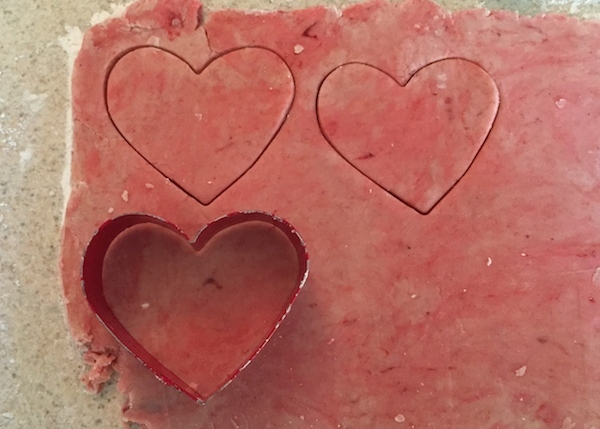 You can make small heart windows, XO imprints, or keep it a simple solid heart. 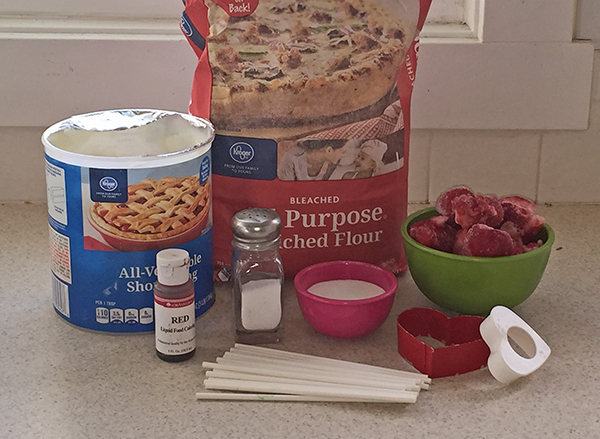 Cut strawberries in to small bits, add sugar and flour. 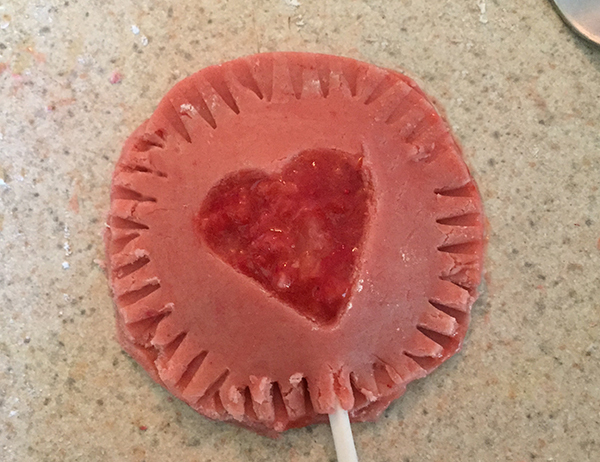 Place dough cut out on flat surface, place a stick half way up pop and add filling. Add second layer of cut out. and seal together with a fork. Transfer to baking sheet. Bake at 400 degrees for 12 minutes or until golden brown. Let cool and enjoy!